After winning last season’s Premier League at a canter, it should really come as no surprise that Manchester City have the most players at this summer’s World Cup. The Citizens boast a whopping 16 stars in Russia, with the likes of Raheem Sterling, Kyle Walker and John Stones hoping to make an impact for the Three Lions. Although we’re yet to see anything like Pep Guardiola’s swashbuckling tactics so far, it’s been hard not to notice the impact City’s players have had in Russia already. Just behind them with 12 players are Chelsea, Spurs and Manchester United respectively; while Bournemouth and Newcastle are the only Premier League sides not to be represented at all. Poor Jonjo Shelvey, eh? However, all eyes have been on 3 Premier League stars in particular, with many of us keen to see whether they can continue their sparkling form on the international stage. Mo Salah, Kevin De Bruyne and Harry Kane had a fantastic season in the Premier League- but how have things been going in Russia? Despite his late consolation against Russia on Tuesday night, it’s been a World Cup to forget for Mo Salah. After all of the hype and sheer expectation, the ‘Egyptian King’ would have at least hoped to make it to the final group game before being knocked out. As it is, a last-gasp Uruguay winner and another sensational Russia performance have sent the Liverpool forward home early. The only question is: will Sergio Ramos take the blame for that as well? The outstanding Kevin De Bruyne has been widely tipped as a genuine contender for the FIFA Golden Ball this summer. After that stunning assist in Belgium’s opening game against Panama, it’s fair to say the City star has got off to a decent start. Many fans and pundits believe De Bruyne is left restricted in his deeper role for Belgium, but that certainly hasn’t stopped him from showing his quality so far. The ball he played to Romelu Lukaku to make it 2-0 to Belgium was simply sublime, while his ability to dictate the game will surely shine through against the bigger teams. We hope to see big things from De Bruyne and the Red Devils in the coming weeks- not least because we’d love to see more of those Belgium World Cup kits! Harry Kane sent the country into meltdown with his stoppage-time winner against Tunisia on Monday night. Videos of wild celebrations in pubs and fan parks have gone viral over the past few days, with many fans already dubbing him “King Kane”. That particular goal sealed a brace for the England captain, as Kane sets his sights on winning the Golden Boot and enhancing his reputation as one of the best strikers in the world. With the likes of Cristiano Ronaldo, Romelu Lukaku and Diego Costa in such fine form as well, we only expect this to make the Spurs man even hungrier as the tournament progresses. The Three Lions take on Panama in their next game, and we certainly wouldn’t bet against Kane adding a couple of notches to his tally. Come on England! 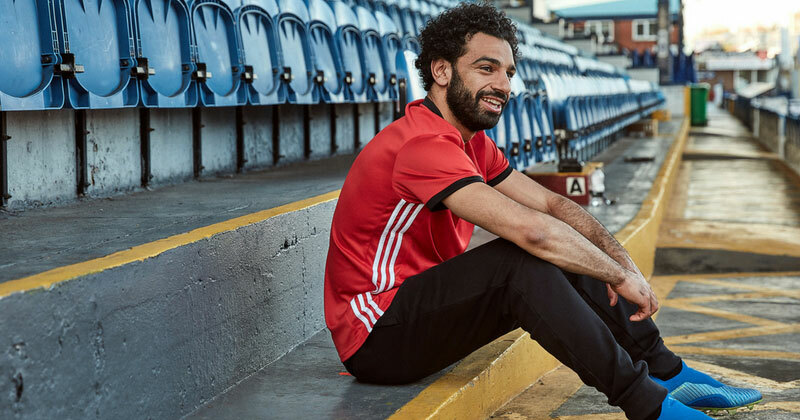 Kane, De Bruyne and Salah will all be gearing up for a new season with their clubs again come August, when we’ll finally get to see the new range of Premier League football kits in action. The only question is: can they continue their scintillating form?